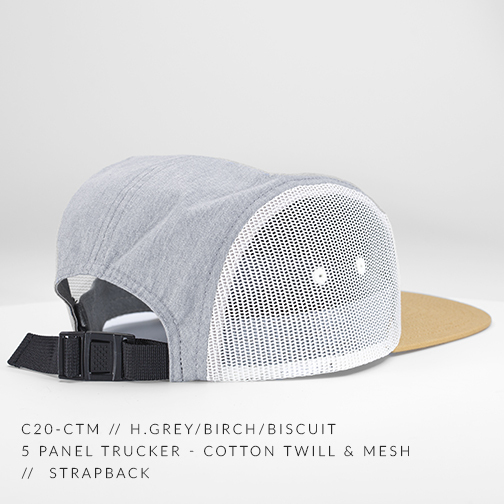 A twist on a classic 5 Panel Camper. 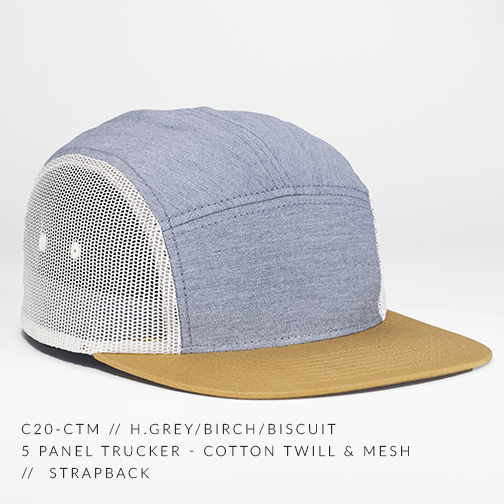 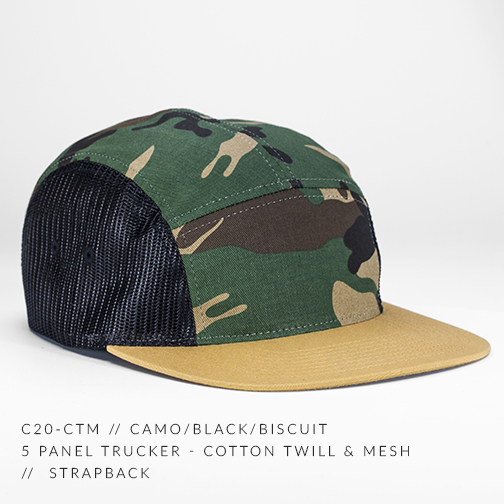 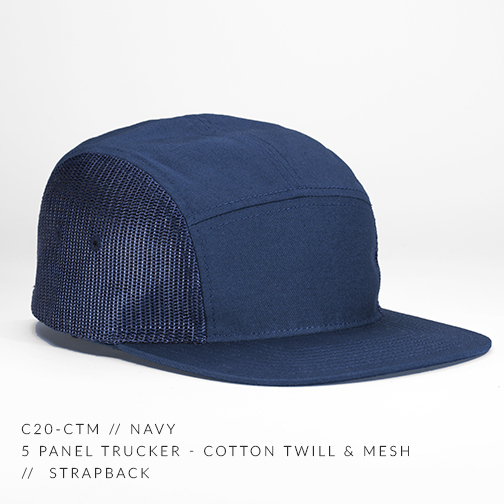 A Cotton Twill, Mesh Sided, 5 Panel Trucker Hat with a Flat Bill and Woven Nylon Custom Strapback. 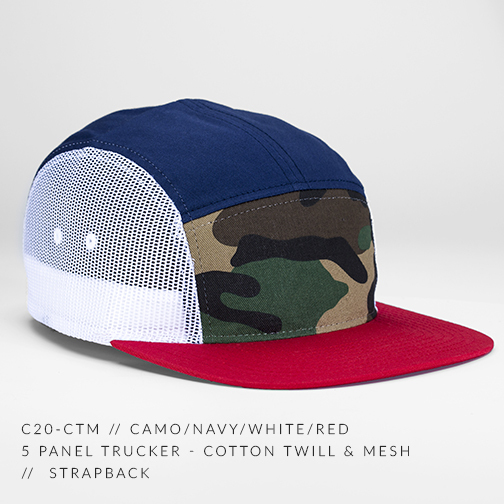 Yeah, it's the NEW new.